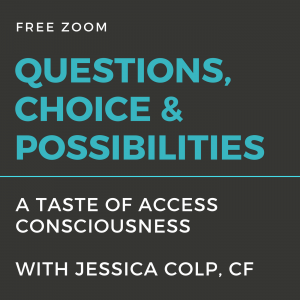 Join me for a FREE zoom and let me share with you the quickest easiest Access tools I know to change reality and create something different — with ease. Bring your life to the table and we’ll apply the tools directly to it. Question create. What is it to have the energy of question in your reality? Where do you think you are asking questions, but you aren’t? What questions can you ask to activate change in your world before you even do anything differently? 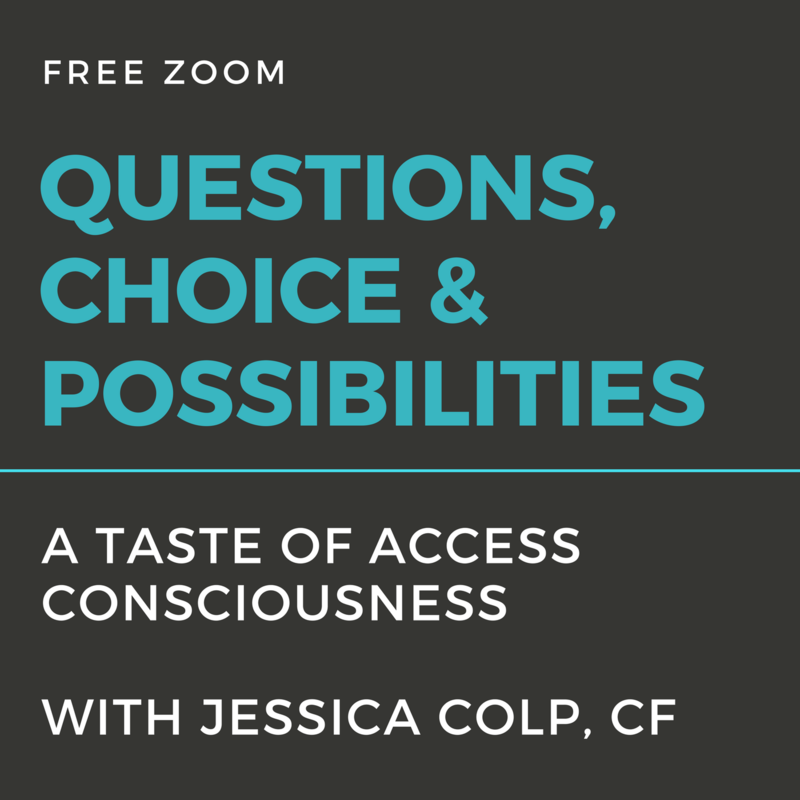 Together we’ll craft questions specific to your life today, that will activate new possibilities right away. Choice is always available. Where have you been feeling stuck and trapped? What choices are available that you haven’t been seeing? What if making a great choice isn’t as hard as you think it is? Let me share with you the energy of choice that isn’t nearly as significant or challenging as you’ve been taught. Possibilities are infinite. The feeling that you’re stuck or limited is a lie. What possibilities can you perceive today before anything looks like it’s changing? Our questions on this zoom will open the door to possibilities. Follow the energy into more. This is a free class, a taster for you of the tools I use with my clients, and every day in my own life to create more. How does it get any better than that?